On June 21, 2004, SpaceShipOne, built by aircraft designer Burt Rutan, entered space and ushered in the commercial space age. Investment capital began to pour into the new commercial spaceflight industry. Richard Branson’s VirginGalactic will begin ferrying space tourists out of the atmosphere in 2010. Las Vegas hotelier Robert Bigelow is developing the world’s first commercial space station (i.e., space hotel). These space entrepreneurs, including Microsoft cofounder Paul Allen and Amazon.com founder Jeff Bezos, now see space as the next big thing. In Rocketeers, Michael Belfiore goes behind the scenes of this nascent industry, capturing its wild-west, anything-goes flavor. 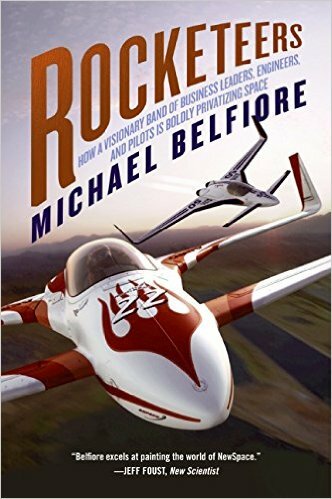 Likening his research to “hanging out in the Wright brothers’ barn,” Belfiore offers an inspiring and entertaining look at the people who are not afraid to make their bold dreams a reality.